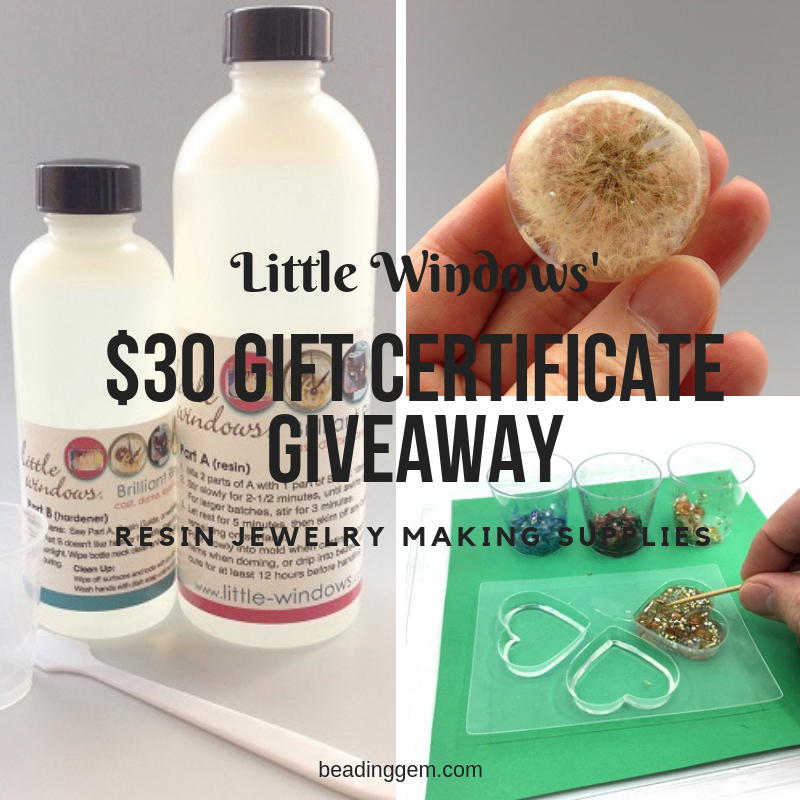 Bronwen Cleary commented on the Little Windows' Giveaway post last week, "I love Little Windows resin!! It's the best one I've tried. Makes it all so much easier." I too agree. I have tried other brands and this one is well suited for jewelry making. Especially if you don't like waving torches around to pop bubbles! It is a low bubble producer and has a longer shelf life than other brands. Some of the comments were from newbies who now realize you can do so much with resin! It is an easy way to customize jewelry especially when you do photo jewelry. Coasters and other home decor items also appeal as not everyone you know wants jewelry as gifts. Just one word of warning - it can get addictive when you have so much fun with resin. So who was the lucky person who will be playing with resin soon? I numbered all the eligible entries and got the random number generator on random.org to do the picking. The winner is Val B! Congratulations! Thank you Pearl and Little Windows. I can't wait to start playing. I have some ideas for Male christmas presents as my males aren't jewelry wearers so I struggle every year to make them something they will like and appreciate. Enjoy! You are definitely going to have fun making all kinds of resin designs. My husband takes very little interest in my beading other than to give me encouragement and praise but he is totally interested in the resin and keeps coming up with ideas of things "we" can do with it lol. It's so awesome to share with him my little world.